STARZ releases a new Outlander BTS featurette with cast interviews and sneak peeks of the upcoming Season 3. Watch here! The Television Critics Association Summer 2017 press tour is underway. This means that, even as we’re still flailing over Outlander’s SDCC panel last week, we get the benefit of even more insights and goodies from Season 3! In conjunction with the TCA panel, STARZ released a new behind-the-scenes featurette entitled “Parallel Lives”. In it, we get new footage and cast interviews all about Outlander’s upcoming third season. The two-minute clip begins with Cait’s reflections on Claire’s frame of mind in the beginning of Season 3 after learning that Jamie doesn’t die in Culloden. 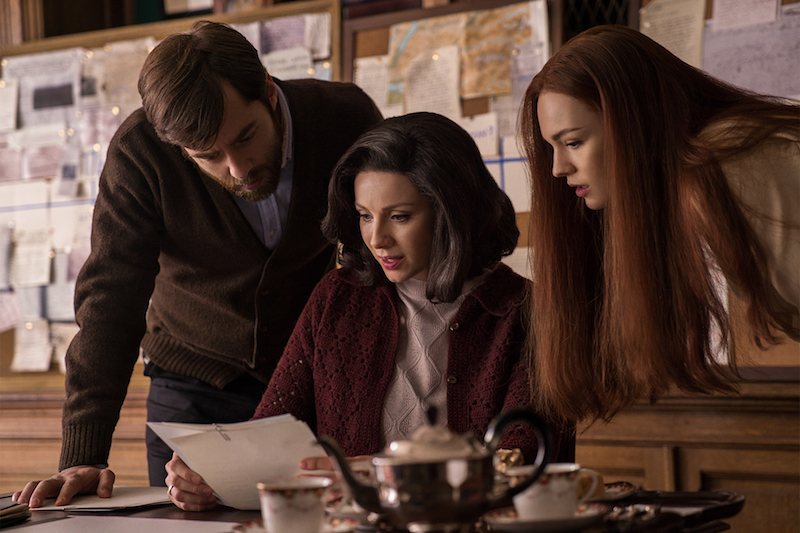 We get images of Brianna and Roger attempting to encourage Claire as they continue their search through history. Through flashbacks, we’ll also learn about her life through the 1940s/1950s as she tries to deal with losing the love of her life. 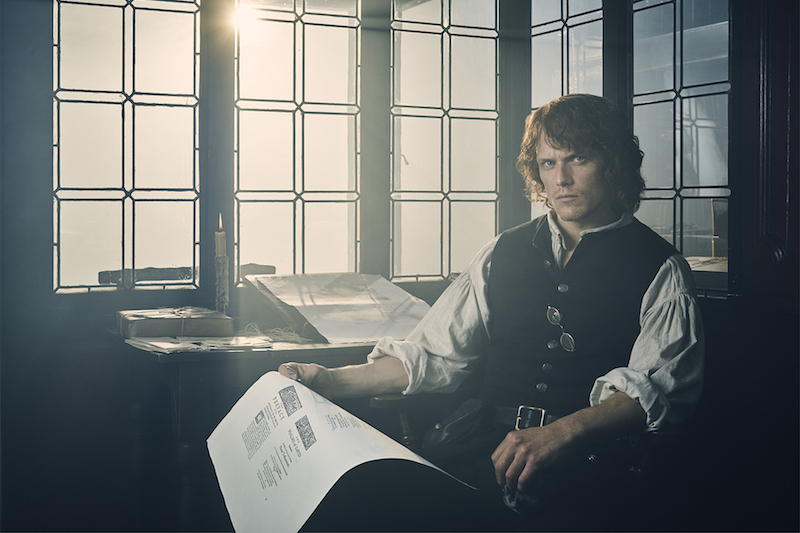 Meanwhile, Sam tells us about Jamie’s grief after being separated with Claire and his very difficult life in the aftermath…surviving Culloden, living in hiding from the British, and the toll it takes on his family. Can we talk about how Jamie still sees Claire?! *WEEPING* And it’s so fascinating to see Jamie and Claire talk about one another to their close friends, Jamie to John Grey, Claire to Joe Abernathy. It’s hard to imagine that Season 3 could have the same level of romance as previous seasons, but if Cait and Sam say it’s the case, then I believe them! In case you missed it, STARZ also released three new images from Season 3 featuring a variety of scenes from the new season: Claire and Frank (1960s), Jamie in the print shop (1700s), and Claire with Brianna and Roger (1960s). Remember, Outlander returns on September 10 at 8/7c on STARZ.